3. Trademarks. Lucky Dog Brands, Lucky Dog Reinforced Gummed Tape, Lucky Dog Stretch Wrap, Lucky Dog Clear to the Core, Lucky Dog Silent, Lucky Dog Masking, Lucky Dog Blue Masking, Lucky Dog Tape Guns, Lucky Dog Narrow Width Stretch Wrap, MrBoxOnline.com, MrTapeOnline.com, MrBubbleBag.com, Tyler Tape and Label, Inc. , and others are either trademarks or registered trademarks of Florida A&M Tape & Packaging, Inc. a Florida corporation whose principal office are located at: 5201 Nob Hill Road, Sunrise, Florida USA 33351. Other product and company names mentioned on the Site may be trademarks of their respective owners. 8. Disclaimer and Limits. THE INFORMATION FROM OR THROUGH THE SITE ARE PROVIDED “AS-IS,” “AS AVAILABLE,” AND ALL WARRANTIES, EXPRESS OR IMPLIED, ARE DISCLAIMED (INCLUDING BUT NOT LIMITED TO THE DISCLAIMER OF ANY IMPLIED WARRANTIES OF MERCHANTABILITY AND FITNESS FOR A PARTICULAR PURPOSE). THE INFORMATION AND SERVICES MAY CONTAIN BUGS, ERRORS, PROBLEMS OR OTHER LIMITATIONS. WE AND OUR AFFILIATED PARTIES HAVE NO LIABILITY WHATSOEVER FOR YOUR USE OF ANY INFORMATION OR SERVICE. IN PARTICULAR, BUT NOT AS A LIMITATION THEREOF, WE AND OUR AFFILIATED PARTIES ARE NOT LIABLE FOR ANY INDIRECT, SPECIAL, INCIDENTAL OR CONSEQUENTIAL DAMAGES (INCLUDING DAMAGES FOR LOSS OF BUSINESS, LOSS OF PROFITS, LITIGATION, OR THE LIKE), WHETHER BASED ON BREACH OF CONTRACT, BREACH OF WARRANTY, TORT (INCLUDING NEGLIGENCE), PRODUCT LIABILITY OR OTHERWISE, EVEN IF ADVISED OF THE POSSIBILITY OF SUCH DAMAGES. THE NEGATION OF DAMAGES SET FORTH ABOVE ARE FUNDAMENTAL ELEMENTS OF THE BASIS OF THE BARGAIN BETWEEN US AND YOU. THIS SITE AND THE INFORMATION WOULD NOT BE PROVIDED WITHOUT SUCH LIMITATIONS. NO ADVICE OR INFORMATION, WHETHER ORAL OR WRITTEN, OBTAINED BY YOU FROM US THROUGH THE SITE SHALL CREATE ANY WARRANTY, REPRESENTATION OR GUARANTEE NOT EXPRESSLY STATED IN THIS AGREEMENT. 10. Third-Party Services. We do not allow access to third-party merchant sites (“Merchants”) from which you may purchase certain goods or services. 12. Payments. 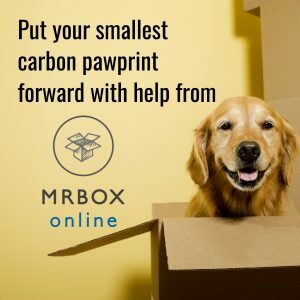 You represent and warrant that if you are purchasing something from MrBoxOnline that (i) any credit information you supply is true and complete, (ii) charges incurred by you will be honored by your credit card company, and (iii) you will pay the charges incurred by you at the posted prices, including any applicable taxes. 13 Links to other Web Sites. The Site contains links to other Web sites. We are not responsible for the content, accuracy or opinions express in such Web sites, and such Web sites are not investigated, monitored or checked for accuracy or completeness by us. Inclusion of any linked Web site on our Site does not imply approval or endorsement of the linked Web site by us. If you decide to leave our Site and access these third-party sites, you do so at your own risk. 14. Refund Policy. If a product purchased by you proves to be defective or not to your reasonable satisfaction, you can return the product within 10 days of receipt, to the following address: 5201 Nob Hill Road, Sunrise, Florida USA 33351. In such event, we will provide you a credit for other purchases on the Site (less shipping and handling charges incurred). 16. Information and Press Releases. The Site contains information and press releases about us. While this information was believed to be accurate as of the date prepared, we disclaim any duty or obligation to update this information or any press releases. Information about companies other than ours contained in the press release or otherwise, should not be relied upon as being provided or endorsed by us. 17. We will not compromise your privacy:For your privacy, we will NEVER sell, rent or otherwise share your personal information with any outside companies. We rely on our own sales to support our company. We don't need to generate additional income from others. We make money as a wholesaler of packaging material, not by selling your name for profit. 18. At MrBoxOnline we do employ a 128-bit encryption and are a Verisign trusted site. We do not store credit card information on our servers nor do we have access to your credit card information. If you prefer, you may call us (954) 572-2500 or toll free at (800) 231-8806 to place your order. Live operators are available Monday - Friday 8:30 a.m. to 4:00 p.m. You can leave a voice mail on our main system 24 hours per day.